The diversity group gig was a new one. The group was clearly dealing with topics that many of them didn’t feel safe discussing, and she needed to help them get past that. I knew that at the meeting it would be important to create the sort of environment in which people not only knew that they could talk but were expected to talk. I also knew that for an authentic conversation to occur, people would need to tap less into their analytical sides (which might have created a “polite” but less vulnerable conversation) and more into their emotions. Her solution: a thoughtful and detailed opening to the meeting that set the ground rules for an open, vulnerable, and productive discussion. Spoiler: her approach worked (read the article on HBR for more) and I loved the idea so much I asked her if she’d be willing to share it with all of us. She agreed. The following is an overview of Patricia’s process for facilitating tricky topics, and you’ll find a full meeting facilitator’s guide available for download at the end. Although many leaders might wish to avoid them, group discussions on potentially sensitive topics are a necessary part of business. In fact, given that a group of people will inherently have differing perspectives and opinions, if your meetings are entirely devoid of conflict, there is a high likelihood that all people present are not fully sharing their opinions. Still, there are some subjects that are admittedly touchier than others. And, if group discussions in sensitive areas are handled poorly, the results can range from wasting everyone’s time to creating ongoing resentments and strained relationships. Thus, as a meeting leader, it behooves you to manage group dynamics so that you can foster an environment in which people feel “safe” to express their views and engage with one another. In this type of high-stakes meeting, your goal is to manage your emotions, while also helping the participants to manage theirs. In this way, they can improve their objectivity in the moment, reduce the likelihood of being swayed by knee-jerk emotional reactions, and listen more effectively. The ultimate goal of these types of discussions is for the group to get all opinions out on the table, while also leaving the room without lingering grudges. For the most part, the agenda for a discussion on a sensitive topic will look a lot like any other agenda. You’ll determine the order of discussion topics, the process used to share information, and how the group will reach decisions based on the overall meeting goals and the specifics of the situation. The difference will be in how you open the meeting, the guidelines enforced for conducting the discussion, and how you’ll close the meeting at the end. Yes, you’re the facilitator and you’re expected to help everyone else feel supported and safe in the discussion. But you’re also human like everyone else, and will probably have to confront some topics that make you uncomfortable. Practice deep breathing (also known as diaphragmatic breathing) ahead of time. This is a technique you can use to create perspective and safety for yourself should you feel “on the spot” during the meeting. Start your practice by pretending that you have a balloon in your abdominal area. Place your fingertips on your belly, just below your ribcage. Slowly and gently inflate the imaginary balloon during your inhale (i.e. your waistband should expand), and then let the air seep out as you exhale (i.e. your waistband will be moving back towards you). You will feel your diaphragm expand and contract in your hands. Let your hands fall to your side and take a few more breaths, feeling your waist expand. Practice taking two or three diaphragmatic breaths at various times throughout the days leading up to meeting, and any time you begin to feel tense. This form of breathing has been shown, through research, to calm your body down and help you to clear your thoughts during heated moments. High-stakes meetings, including any discussion on a sensitive topic, work best when everyone can see one another. This is a conversation that warrants getting everyone in the same room or ensuring everyone has access to a multi-way video conferencing software. This is also an ideal time to enlist an external facilitator. When the diversity team I wrote about for HBR found themselves stuck, they brought me in to facilitate. As an outsider, it was much easier for me to manage my own emotions and stay focused on helping the group work through the discussion than it would have been for the people on the team. If you need to participate in the discussion, try to find someone else to facilitate. If you happen to be the facilitator, read on to learn this mindfulness-centered approach. Begin the meeting by welcoming the group. Review the meeting purpose and agenda, then thank everyone for attending and stress the importance of the meeting. Let the group know that you value all perspectives, and want to hear from each person and have them engage with one another during the meeting. Then, introduce the discussion guidelines. Acknowledge that, given the topic, the meeting may be uncomfortable at times, and that therefore, it will be useful for the group to agree to some guidelines for the discussion to follow. Here’s how I share the guidelines with a group. I briefly explain each of the guidelines, then I ask the group for their thoughts. I ask if people have ideas for any guidelines that should be added to the document. I ask if anyone disagrees with any of the guidelines, or sees them as not applicable to the group. The group then discusses any points that come up. I finish by having each person commit to following the agreed-upon guidelines. If the group is large, I may ask for a simple show of hands. Otherwise, I use a go-around and ask each person to affirm their commitment out loud. While you might be inclined to rush through this part of the process to get to the content of the meeting, resist the urge to do so. Setting the tone for having a constructive conversation is critical - without it, people may be less likely to speak up. Approach the discussion with a sense of curiosity, a willingness to learn from others’ perspectives and experiences, and a desire for constructive dialogue. Accept every person’s perception as being true for them. Avoid making judgments about others. Assume positive intent and be empathetic. Say it here. Say it now. Listen actively to everyone. Avoid interrupting, side conversations, checking smartphones, and other distractions. Be courageous and authentic. Share with others what is going on in your mind, even if it isn’t very pretty. Express your feelings genuinely. Support others in their efforts to broach uncomfortable topics or experiment with unfamiliar behaviors. Hold one another accountable for adhering to these guidelines. These are suggestions; guidelines I’ve found to be a powerful in my facilitation practice. For more details and an explanation of each guideline, see the full facilitator’s guide. Once the group has committed to the guidelines, you can dive into the meeting’s main event. As the discussion progresses, keep these tips in mind. Make sure you follow the agreed upon discussion guidelines yourself, by modeling openness to others’ perspectives. If you don’t engage in these behaviors, it reduces the chances that others will. Hold the group accountable to the guidelines. For example, if someone is interrupting or speaking for someone else, redirect him or her. Manage your emotions in the moment. Use your diaphragmatic breathing to keep focused on the goal and keep calm. Get comfortable with silences. At times, people may need a chance to process the information or get their thoughts together before they speak. If you jump in too quickly when the group is silent, you run the risk of cutting off potentially productive dialogue. See also The Power of Silence in Meetings. Solicit the opinions of those who are quiet. If there are people in the group who are not speaking up, ask their opinions. This can help keep people engaged and creates an opening for some of the introverts, who might be having difficulty getting a word in edgewise. At the end of the meeting, after you’ve confirmed next steps and taken care of all the meeting administration, be sure to acknowledge the group’s participation. Reinforce the importance of the discussion that occurred. Thank everyone for contributing, and express your appreciation for their courage in engaging on the topic. Stress that being able to have conversations like this helps to make the group stronger. If appropriate, you might also consider taking a few moments to debrief the session using a technique such as a Plus/Delta. These moments of reflection at the end of the meeting can help everyone process and better internalize the awareness techniques they practiced, and can help you bring closure to the conversation. Finally, if you’ve planned your meeting to end so the team can adjourn to lunch or happy hour, all the better. Sensitive topics are a challenging inevitability for any group. Teams that don’t readily tackle these topics leave them to fester, eroding team trust and robbing the group of the competing opinions and information they could be using to make better decisions. 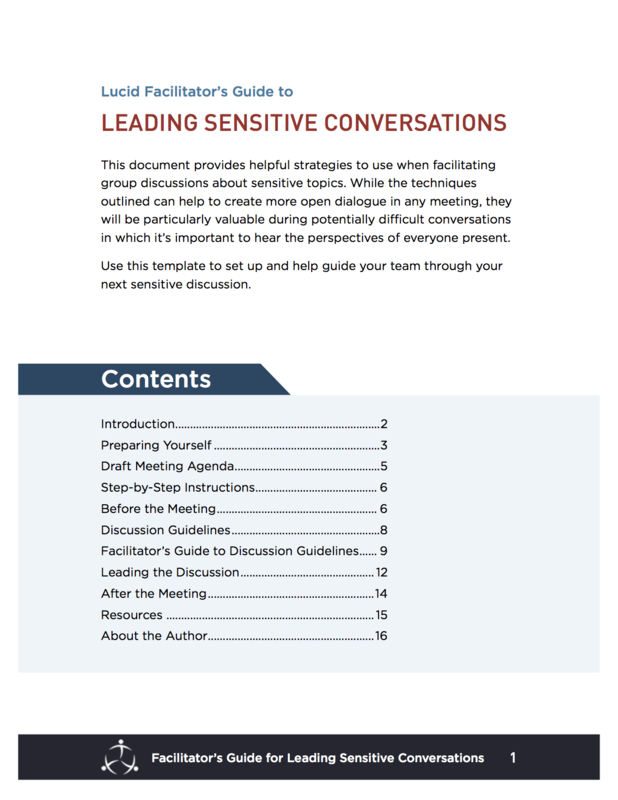 When your team needs to break through a sensitive topic, create a safe space for the dialogue using mindfulness-based guidelines and thoughtful facilitation. For more details on how to facilitate this discussion, download the meeting template. 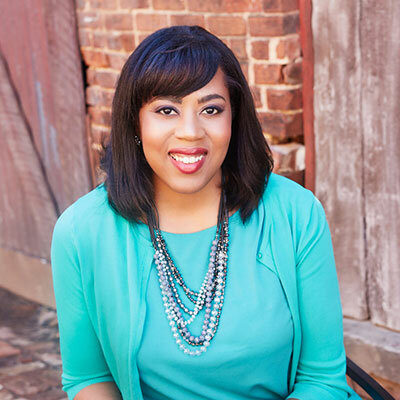 Dr. Patricia Thompson is a Corporate Psychologist and founder of Silver Lining Psychology, a management consulting firm devoted to helping businesses flourish by making well-informed hiring decisions, cultivating talent, and developing a positive organizational culture. Notable clients include The Home Depot, Baylor Scott & White Health, SunTrust Banks, Mercer, Chick-Fil-A, Children’s Healthcare of Atlanta, the United Way, Performance Food Group, the Georgia Department of Revenue, Colonial Pipeline, and others. Dr. Thompson enjoys helping others achieve greater success by drawing on the science of positive psychology. She is the creator of The Executive Mindfulness Online Course, and the author of The Consummate Leader: a Holistic Guide to Inspiring Growth in Others...and in Yourself. Her work is featured in the Harvard Business Review, Fast Company, Entrepreneur, Money Magazine, The Huffington Post, Time, The CEO Magazine, Investor’s Business Daily, Monster.com, CareerBuilder, and a host of other sites, sharing valuable business advice. On a personal level, Patricia enjoys playing tennis, classical piano, working out, reading, meditating, and writing. She lives in Atlanta with her husband and son. For more information about Dr. Patricia Thompson, visit: www.silverliningpsychology.com.